Representatives from IBM provided a free student and faculty workshop with the von Liebig Entrepreneurism Center at the Jacobs School of Engineering on Wednesday, Oct. 21, to introduce how IBM’s cloud Bluemix/Watson Platform can be utilized as a service. 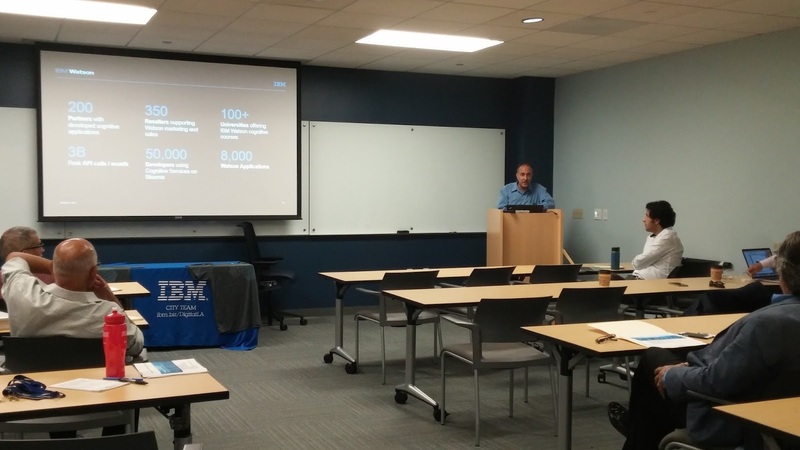 The first workshop taught researchers how to use IBM’s Watson product on the Bluemix platform for a host of cognitive computing applications, such as robotics, lasers, imaging and medical diagnostics. 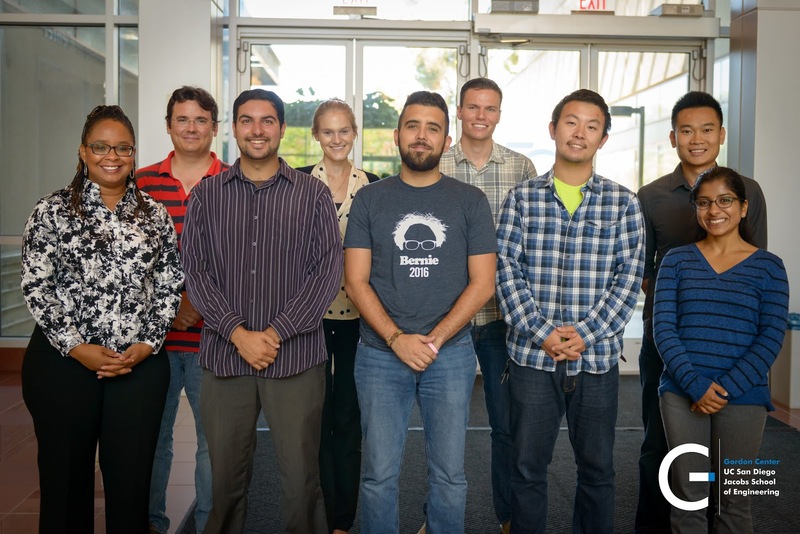 As part of IBM’s Academic Initiative Program, students and faculty at UC San Diego will be able to use this cloud platform for free. 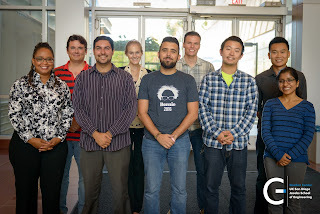 Recently, the von Liebig Center was named as an authorized incubator for the IBM Global Entrepreneur Program.The von Liebig Center plans to continue working with IBM in offering access to more workshops and providing additional support to those who are interested in pursuing commercialization of projects ideas with the use of the Bluemix platform. At the first workshop, Armen Pishdotchian, Technical Enablement Specialist of IBM Watson Academic Practice, shared that one of the early tests of Watson was used for the Jeopardy game show with host Alex Trebek. He explained that Jeopardy was an easy application and the academic uses are much more advanced. 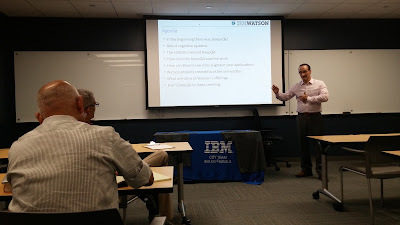 UCSD Faculty expressed interest in using Watson for time series analysis in digital healthcare data, sensors and diagnostics, while students expressed interest in bioinformatics, sensors and robotics. During his introduction to cognitive computing, Dr. Ali Arsanjani, IBM Distinguished Engineer, said that we will eventually learn to trust robots like we have learned to trust our computers. 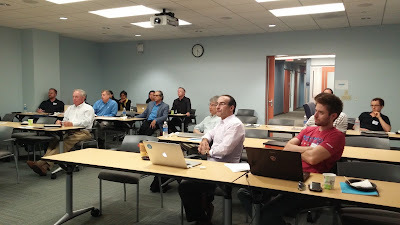 The 4 L’s common to Cognitive Computing are: 1. Language (Watson has to know that a wise man is different from a wise guy.) 2. Levels (Potential responses are scored and ranked.) 3. 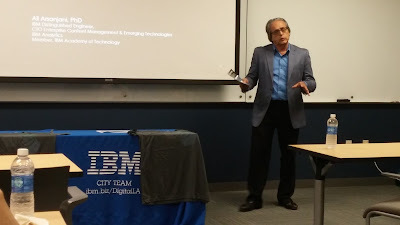 Learning (Watson must be able to recognize patterns in complex data and images.) 4. Limbs (Watson must be capable of understanding robotics and the Internet of Things). Both speakers emphasized the versatility of Watson. 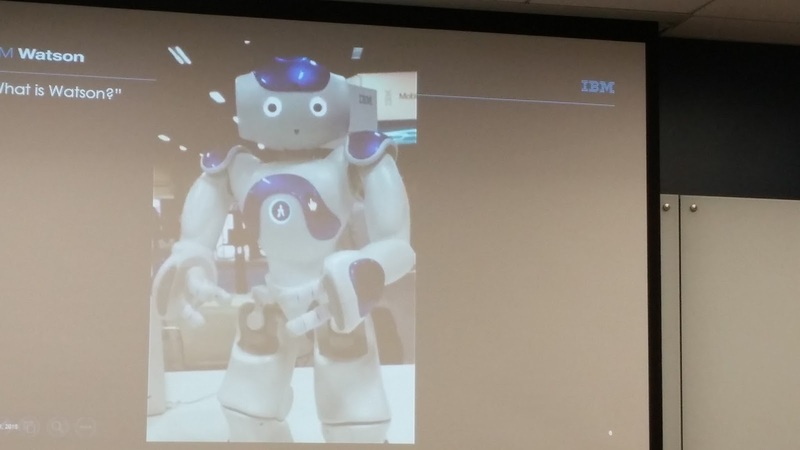 Watson has been used to map personality traits with the type of work that people should be doing, as well as used to answer questions about insurance, mortgages or any other area of expertise. 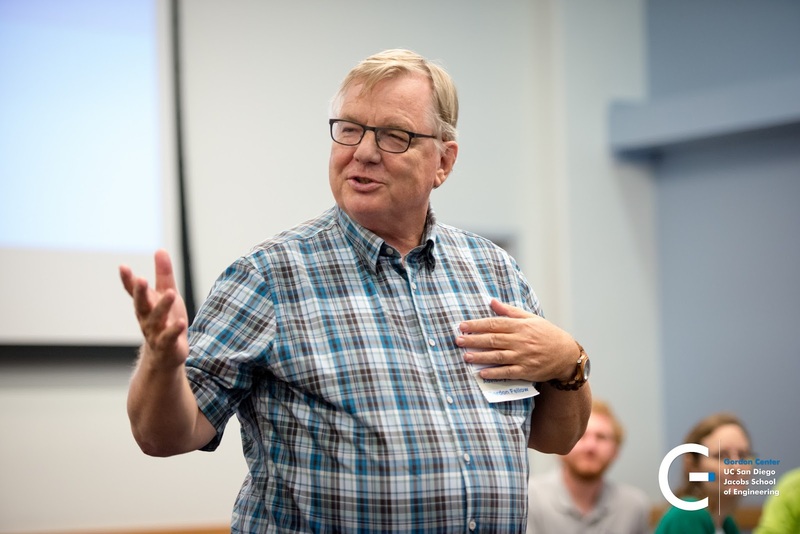 In the medical field, Watson was used to conduct research on amino acids for cancer treatment as well as a diagnostic tool for physicians to analyze Asperger’s or Down-Syndrome. 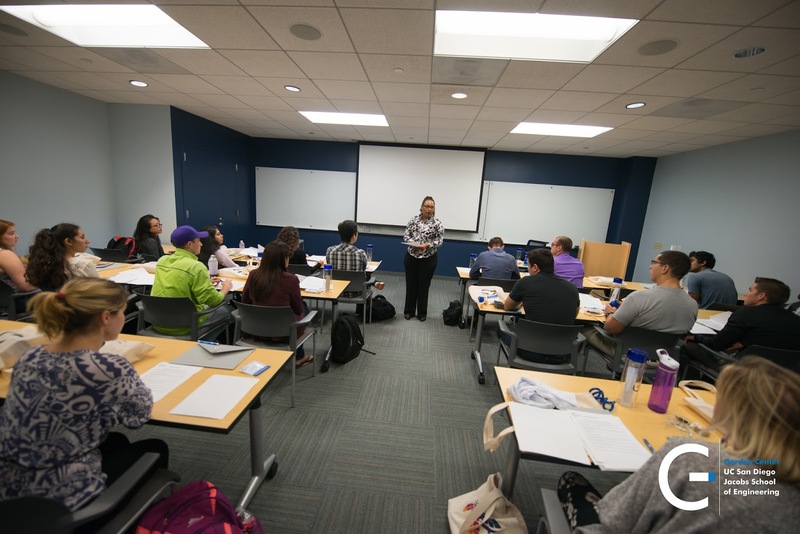 For more information, please contact Lori Deaton at the von Liebig Center (ldeaton@ucsd.edu). 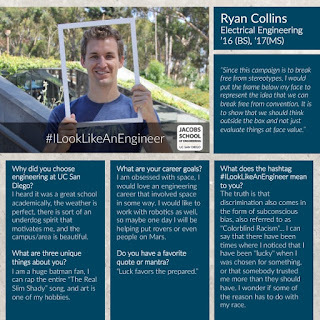 Here's the next student in our #ILookLikeAnEngineer campaign. Though this campaign began with a woman facing stereotypes in engineering, we wanted to emphasize that one does not need to be part of (or look the part of) a lesser-represented group in order to have experienced any biases. Furthermore, no requirement of a particular gender or race is necessary to show support for the campaign and to recognize that inequalities do exist within engineering. Meet Ryan Collins, a fourth year B.S./M.S. electrical engineering student at the Jacobs School of Engineering. I heard it was a great school academically. Besides that, the weather is perfect, there is sort of an underdog spirit that motivates me and the campus is beautiful. I am obsessed with outer space, I would love an engineering career that involved space in some way. I would like to work with robotics as well, so maybe one day I will be helping to put rovers - or even people - on Mars. What are three things you find unique about you? I am a huge batman fan, I can rap the entire "The Real Slim Shady" song, and art is one of my hobbies. In my experience, blatant discrimination towards others is a thing I rarely see, but that doesn’t mean discrimination isn’t happening. The truth is that discrimination also comes in the form of subconscious bias, also referred to as "Colorblind Racism". That is the idea that between two otherwise equal people, you will give preference to the one whose race you subconsciously prefer or trust. Many people who believe themselves to be completely fair may not realize this, and it is important for them to analyze their behavior from an objective point of view to see if they are inadvertently discriminating. I can say that there have been times where I noticed that I have been "lucky" when I was chosen for something, or that somebody trusted me more than they should have. I wonder if some of the reason has to do with my race. You asked to place the frame underneath your face - why? Since this campaign is to break free from stereotypes, I would put the frame below my face to represent the idea that we can break free from convention- it is to show that we should think outside the box and not just evaluate things at face value. The frame does serve an important point it shows that we are perceived by our physical image, and people DO see us for our race. However, our character extends beyond our picture, just as our person extends beyond the frame. 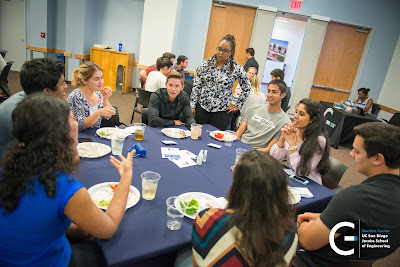 Keep up with us as we continue to feature students and stories! Remember to follow the Jacobs School on social media to stay updated with the hasthag! 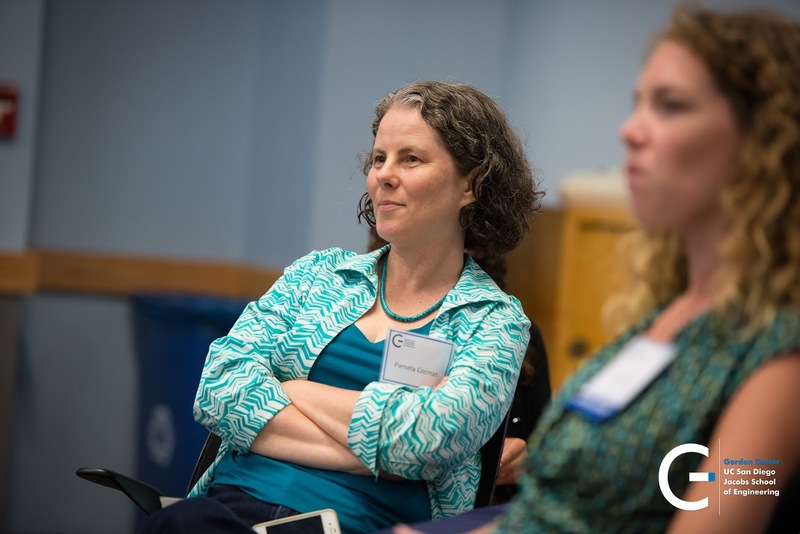 Familiar with the #ILookLikeAnEngineer hashtag on Twitter? It started trending back in August 2015 - a San Francisco software engineer inspired a viral online campaign when she faced backlash after appearing in an ad as part of her company's recruiting campaign. Her response was a photo holding a sign with the hashtag #ILookLikeAnEngineer — it inspired female engineers around the world to share their photos/stories on social media using the hashtag. We think this is great, and wanted to jump onboard. Meet Delta, a sophomore mechanical engineer at the UC San Diego Jacobs School of Engineering. I always liked math growing up. Then I thought, what should I do with it? I should do engineering. After I went to COSMOS at UC San Diego, a four-week residential summer program for high school students interested in pursuing a career in a STEM field, I was set on engineering. COSMOS – I was part of Cluster 4, the earthquakes in action cluster. We had to perform a timber retrofit. So when you retrofit something, you make it better. Maybe back then, they did not have enough support. We were accounting for natural disasters. Also, during my senior year of high school, I took AP Physics and really liked classical mechanics. I noticed myself liking the building more so than the other parts of physics. This might be a little embarrassing. In Mean Girls, it’s the part when they’re talking about calculus and Damien is disgusted and asks Cady why. She says, “Because it’s the same in every country.” That was beautiful to me. I honestly don’t know. I’m really trying to figure it out. 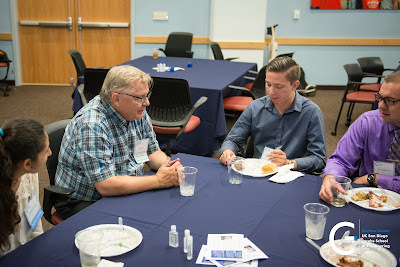 I really liked 3D printing, which was implemented when I took a pilot course in the Dean’s new Experience Engineering initiative this past spring. I like that 3D printing is cheap, especially for kids. They need an inexpensive way to keep producing as they keep growing. I participated in UC San Diego’s Summer Bridge program in 2014 before school started. 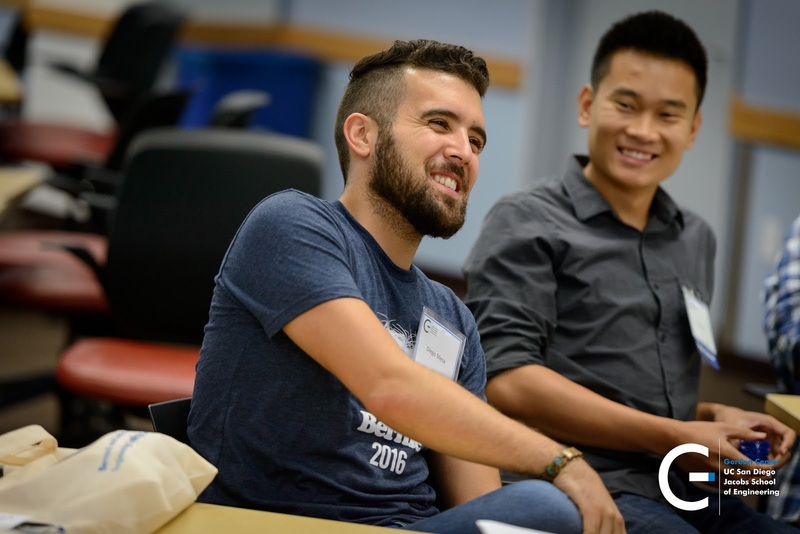 Summer Bridge tries to bridge incoming freshmen and help them integrate better into their first year. You take two different classes: Contemporary Issues and Educational Studies. I thought I wouldn’t get into it as much as I did. The Contemporary Issues component was eye-opening for me. I was always very math and science-y, but the program opened my eyes to real world issues. I prepped to become a tutor, and this quarter I signed up for Global TIES. I like the humanitarian aspect of Global TIES. Growing up, I knew I wanted to do something where I could help people. I tried to do medical stuff, but I learned nope, I can’t touch people, I can’t see blood. That’s exactly what Global TIES is, engineering for humanity. And the leaders of the class are actual professors, so you have their guidance and meet often. In addition,I’ll be a part of KPCore, which does outreach to my high school. I do like keeping busy. I don’t really have any hobbies, which I guess is why I like extracurricular activities. Also, in terms of last year, I worked a lot. I took on a lot of hours at the library. It’s really nice working there. The people there are really nice and easy to talk to. I worry a lot, but I also know that I can do it…I also complain a lot, but I’ll do it. Haha. I went to Europe last year and I want to go to Spain next year. This issue does hit hard because I will be an engineer in the field. There's a misconception that women get hired to fill some quota so I don't want anyone to think I had something handed to me. I will earn it based on my merit. I spoke with the VP of Qualcomm, and he said that he was originally an engineer himself. It was cool that he had both the understanding of his company’s engineering work, in addition to his own administrative work. Maybe in the future, I can hold a position that combines multiple fields. Stay tuned for more, and don't forget to follow the Jacobs School on social media to keep up with the hashtag! 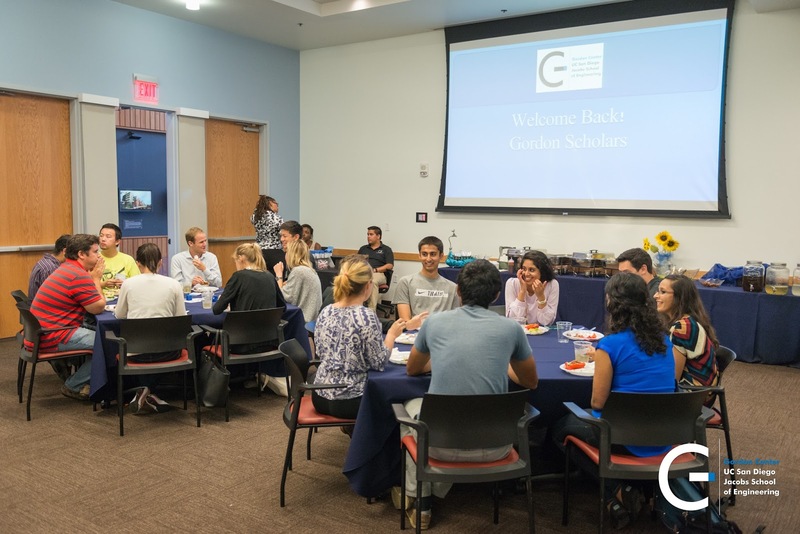 Every year in the Fall, the Gordon Engineering Leadership Center invites board members, alumni and returning Gordon Scholars and Fellows to meet the new Gordon Scholars. 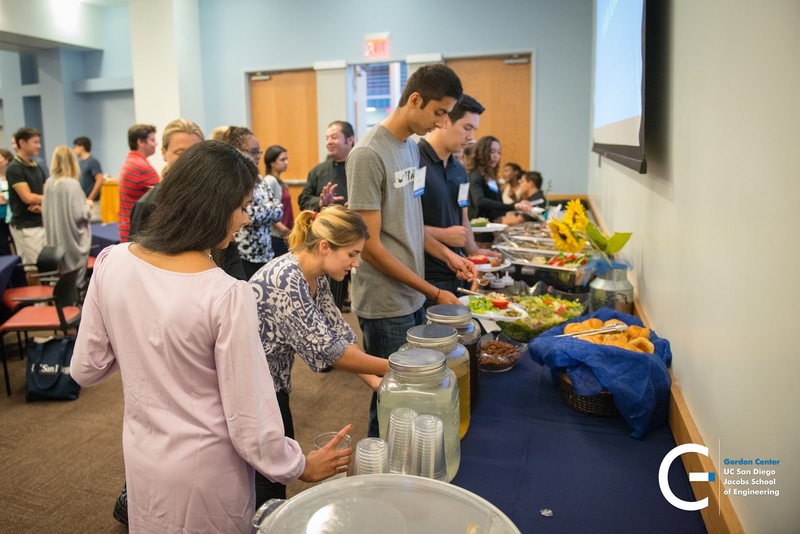 This receptions serves to introduce the newly accepted aspiring technical leaders to seasoned members of this community, with the intent that they will learn about the opportunities and resources the Gordon Center provides. 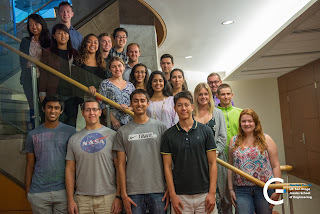 This year's cohort of undergraduate Gordon Scholars. 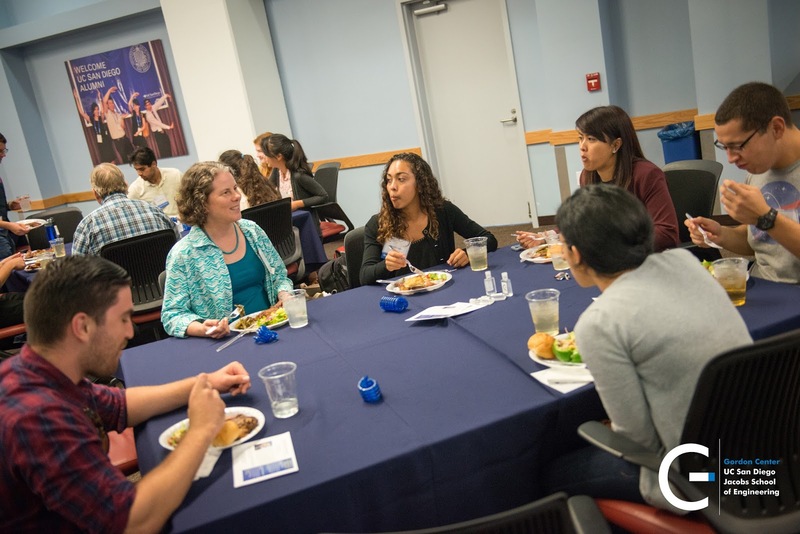 This year, UC San Diego Alumni member and Gordon Professional Fellow, Steve Hart, CTO and Co-founder of Viasat, and Pamela Cosman, the Jacobs School of Engineering’s Associate Dean for Students, joined the event. Both were able to connect with Gordon Scholars over dinner and icebreakers. Mr. Hart was invited to give remarks welcoming students and sharing the need for engineering leadership in today's world. pictured with this year's Graduate Gordon Scholars. During the last Jacobs School Student Services Open House, I sat down for a quick Q&A with a few of the staff at the IDEA Student Center (Center for Inclusion, Diversity, Excellence, and Advancement). What is your role at the IDEA Student Center? I’m the assistant director. 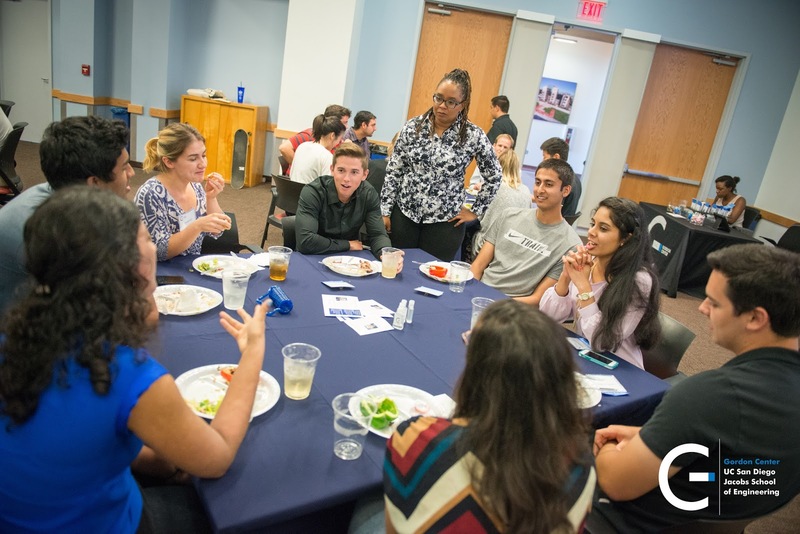 There are specific student programs I also take charge of, such as the Jacobs Undergraduate Mentor Program (JUMP), the IDEA Scholars Summer PrEP, and the tutoring program. One of the events I help to organize each year is the Jacobs School Student Services Open House. In addition to new incoming students, a lot continuing students can benefit from attending by partaking in programs and taking advantage of what is available according to their needs. We want students to receive help they need, which may be available beyond engineering offices, for example, if a student is interested in studying abroad. I love working with students. That’s why I’m in higher education. A lot of it is because I learn a lot from them, and I learn a lot about myself - especially in being a part of their college experience from freshman year to graduating. Hopefully I may be helpful in their journeys in some way. I have a few. It’s hard to choose. One thing I always tell students is that things will always work out for the best. Students are always anxious about one thing or another, especially when they have decisions to make. Whatever choice you make, it’s always going to work out. Because you made that choice, you’re going to have to make it work. They always look at me, as if they’re thinking “Is that the best you can do? You can’t give me anything more specific? Tell me what to do, like really.” But for the most part, things do work out. I am the Interim Student Life Coordinator. In essence, I am the advisor for the Triton Engineering Student Council (TESC) and most of the student organizations that fall under TESC. I’m extremely fun-loving. I’m a big goofy big kid at heart, extremely approachable. They can come to me with anything. Also, I am very passionate about what I do, about student success, student involvement. I will bend over backwards for any student as long as they are willing to bend over backwards for themselves. One of mine is a quote by Frederick Douglas. “Without struggle, there is no progress.” In essence, that says, you’re going to go through a lot of hard times, you’re going to go through a lot of challenges, but if it wasn’t for those challenges, you won’t become a stronger individual. Student Life & Diversity Coordinator. I work and advise the three diversity engineering student organizations: National Society of Black Engineers (NSBE), Society of Hispanic Professional Engineers (SHPE), and the Society of Women Engineers (SWE) at UC San Diego. I'm good at being a sound board when it comes to ideas and will get you to think through your thoughts by identifying possible gaps or pitfalls. 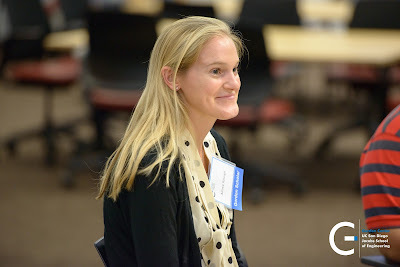 I value equity, diversity, and inclusion, so I help students make those connections with engineering. "Failing to plan is planning to fail" and "No lollygagging"! In an effort to bolster the nation's clean energy future, several researchers and centers at UC San Diego have been selected, along with other top innovators around the nation, to participate in a first-time Clean Energy Impact Fund. The fund – created by Benefunder, which is building the first marketplace for research funding – is a unique philanthropic-based initiative designed to spark a passionate appeal to donors who want to have a direct impact on solving some of our nation’s biggest energy issues. The Clean Energy Impact Fund will focus on advancing all areas of clean energy, including basic and applied research, with an emphasis on commercializing new methods and technologies. Benefunder’s clean energy innovators includes 40 researchers from some of the top research institutions in the country, including Harvard, Duke, UC San Diego, Cornell, The University of Texas at Austin, Rice, and Georgia Tech. These innovators are working on new breakthroughs in power production, storage, and delivery, as well as policy. Research efforts include printable solar cells, global water purification, algae biofuel technology, improved battery storage technology, powerful electric vehicles, and more. Benefunder hopes to create the nation’s largest Clean Energy Impact Fund. Benefunder’s strategy is to diversify resources to a wide range of top clean energy research – from renewable energy technologies to energy efficiency, and infrastructure and resources – with equal periodic distributions to all researchers in the fund, in exchange for regular research updates to donors. Donors can make any contribution amount to the fund. Funds will be distributed to researchers on a quarterly basis. As research results in new company formation and intellectual property, the fund will provide investment and other opportunities. More information about Benefunder at www.benefunder.org. A future in which robots can maneuver with high agility, dexterity and precision is not too far away. These flexible robots could one day assist with surgeries, navigate through tight, complex environments with ease, and be used to develop prosthetics that are capable of natural movement. (A) Robotic systems such as the da Vinci surgical system have served as important platforms for device design and control algorithms for robot-assisted surgery. (B) New robot designs of flexible manipulators and arms provide means to control agile and dexterous motions for surgical catheters and endoscopes. (C) Actuators designed to mimic human muscle performance are designed for applications in prosthetics and animatronics. Image credit: M. Yip. 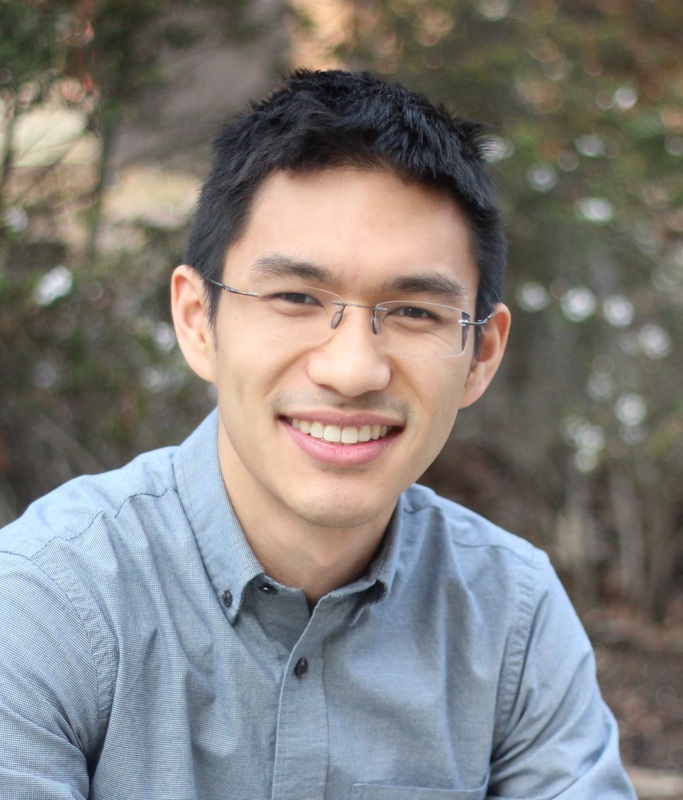 The design and intelligent control of flexible and surgical robotics are the specialties of Michael Yip, one of the new faculty joining the Jacobs School of Engineering at the University of California, San Diego. Yip received his Ph.D from the Department of Bioengineering at Stanford University. He will arrive in November as an assistant professor in the Department of Electrical and Computer Engineering at UC San Diego and will direct the new Advanced Robotics and Controls Laboratory (ARCLab). His research involves developing advanced algorithms that can control flexible robotics to move with high agility and dexterity. He also designs novel robotic systems that mimic the natural motion of animal and human bodies. “Intelligent control of flexible robotics is a challenge that’s been plaguing the field. To make flexible robotics work effectively in places like the human body, we need to figure out how to control the robotics to crawl through constrained spaces and do manipulations without causing damage to their surroundings or to themselves,” said Yip. This type of control is important in applications like robot-assisted surgery. For example, a surgeon could control a long, thin, flexible robotic device to snake its way through a patient’s body and perform surgery with high precision and safety. Use of these robotic devices could also offer less invasive surgical procedures. Michael Yip, a new professor joining the Department of Electrical and Computer Engineering at UC San Diego. “Rather than dissecting the patient’s body, a surgeon could just make one or two small incisions on the body to insert these surgical robotic devices,” said Yip. Controlling flexible robotics to maneuver through tight spaces — in a minimally invasive manner — is also useful in industrial applications including manufacturing, inspection and assembly. For example, flexible robotics could be used to inspect the wiring in an airplane wing or do repairs deep within a car engine without having to disassemble any major machinery. Yip also works on making artificial muscles and actuators that can mimic biological muscle performance. Previously, he worked as a Walt Disney Imagineer within the Disney Research division, where he developed a technology for creating low-cost artificial muscles using conductive sewing thread. These synthetic muscles could contract and expand just like human muscles and were used to make life-like animatronic hands and arms. The artificial muscles were featured this summer in Popular Mechanics and Gizmodo. Watch out for Yip in the upcoming UC San Diego Contextual Robotics Forum on Oct. 30. He will be presenting a poster and demonstration of his work at the Technology Showcase. Register for the Contextual Robotics Forum here.